I’ve reviewed families of rums in the past, but this is my first multiple cigar review. The cigars here aren’t a family and don’t much resemble one another in any respect other than their price. They all cost about $4/stick (box price) and they are all pretty good if not “great” cigars. The reviews will be short, just the basics. These are good cigars for their price, but they’re not going to compare to more expensive Padron, My Father, Drew Estate, and many others that are two or more times their price. All of these sticks are pretty one dimensional. There isn’t much point in describing their flavors inch by inch, but they do all have decent flavors, and all of them good budget smokes. Sancho Panza long corona from Honduras. Binder/Filler: Honduran, Nicaraguan, and Dominical Piloto. Of the three sticks reviewed, this is the sweetest. Wrapper is smooth medium brown in color. Cold smell is barnyard and sweet wood. The cold draw is salty and sweet at the same time. I’ve smoked a half a box of these and encountered no construction issues. Draw is firm but not fighting you and stays that way throughout. Lots of smoke all the way along, burn line is good. Burn time is about an hour and fifteen minutes. I am very impressed with these. Flavors are sweet wood, nut, and leather. There is little pepper, sometimes some floral notes and an occasional hint of vanilla. Paired with a dark sweet rum the cigar comes up with a very sweet wintergreen note in response. Even on the retrohale there is little pepper here but the leather and sweet wood smoke notes stand out. Strength is a solid medium. All in all this is the smoothest as well as the sweetest of the three cigars. For about $4.25 this is a very good smoke I can take all the way down to less than an inch. This is a pretty elaborate blend for a $4 cigar. Anything AJF does is worth trying. Most turn out pretty good, and for the price I’m not going to complain if it doesn’t taste like a Padron or OpusX. Cold smell is light barnyard, fresh hay, grass. Cold draw doesn’t present much but a little hay and saltiness. The cigar seems well made. Wrapper is light brown in color and looks nice, clean cap. Draw is light on these, maybe too light even for me. Pack is nice and even though. In a whole box I’ve had no construction issues. Burn line is clean with a few minor corrections now and then. Smoke output is excellent all the way through the stick. Burn time about an hour. Reading reviews of this you would think it cost $12. Yes there is flavor, a little hint of floral sweetness, earth, cedar, and barnyard. But flavors aren’t very strong. Mostly you get a nice thick smoke carrying minimal, but otherwise nice flavors. Some pepper presents itself all the way along, especially on the retrohale where the flavors come forward a bit also. Other reviewers have talked about a lot of pepper, but I just don’t get that myself. Really you only get anything substantial from this cigar on the retrohale. Nothing in the flavor profile is outstanding, but there are no sour or off putting notes either. The cigar is pleasant. Many of you have tried AJ’s “Puro Authentico”. 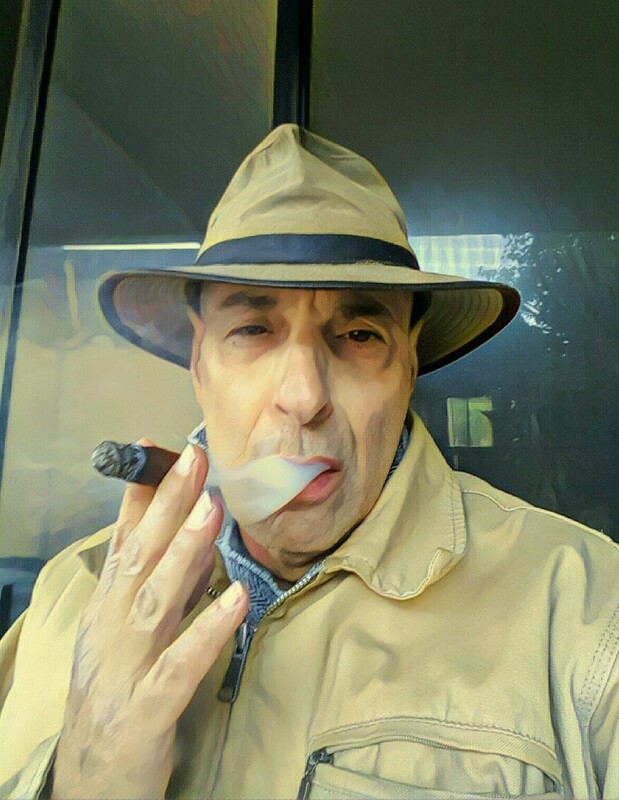 This cigar has the same sort of manly earthiness to it, but the flavors are less full bodied and the flavors mostly disappear by the last inch. Light to medium in strength, of the three cigars reviewed here, this one is the lightest in strength and flavor, but I recommend it as a good change away from sweet. Commonly to be found at $3.65 or so (box of 50) this is the strongest and also the least expensive of the sticks reviewed here. Illusione blends are almost always good but tend to be in the $8 – $12 range. This low-ball offering is superb at the price. Cold smell is mostly manure and floral. Taste is a little salty and dry chocolate. Like the others reviewed the construction of this cigar is excellent. Nice dark brown wrapper, slightly bent cap, a good hefty stick for its size. Of the three cigars this is the most densely packed and very evenly. Draw is medium. Sometimes needs a little burn correction but mostly it’s fine and produces great smoke. Strength is medium to full, burn time about an hour or a little more. Flavor here is earthy, barnyard, dry chocolate, with a little pepper throughout. 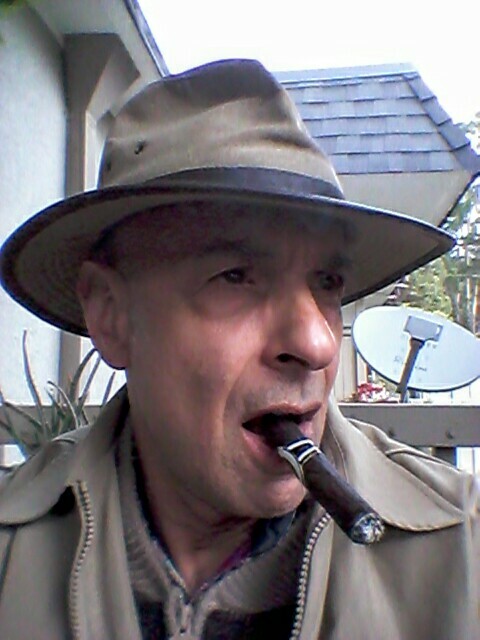 Stronger flavor than the HOYO and not as sweet as the Sancho Panza. The retrohale is particularly earthy and full of burning wood with more pepper. Flavors stay with the stick down to less than an inch. Of the three sticks I like these the best. Flavors are similar in strength to the Sancho Panza but more earthy, a cigar man’s cigar. All three of these sticks are worth their price and make a good rotation for one another. In connection with this price point I should mention a fourth stick reviewed elsewhere on the blog, the Drew Estate Papas Fritas. At about $4.35 only a few cents higher than the Sancho Panza, it is by far the most flavorful cigar of the group but it is also smaller than the others. All to be enjoyed though. See what you think. I know that many of my readers have a larger discretionary budget than I do. I once did myself, but no longer. Discovering so many good cigars in the under $5 range has been a delight. Graham Harman is a popular guy in philosophy circles these days. Sometimes associated with Maruzio Ferraris, Manuel DeLanda, and Quentin Meillassoux as one of the “New Realists”, he is also, with DeLanda and Meillassoux, known as a “speculative realist”. Although this essay is mostly about Harman (I have written about Meillassoux and Ferraris elsewhere on the blog) I first try to provide some perspective on them as a group. All four emerged (in their fundamental epistemology and ontology) from late 19th and early 20th century continental anti-realism with its own roots going back to Kant. All four accept that from our inescapable subjective viewpoint we cannot in the end simply assume that, as concerns the appearance of an external world, what we see is what we get, a view called “naive realism”. Even non-continental realist schools recognize this in theory. Some analytic realists agree there is a “representation problem” but discount that it blocks-out as much of the mind-independent world as anti-realists claim. This partly explains their drift in a scientistic direction. 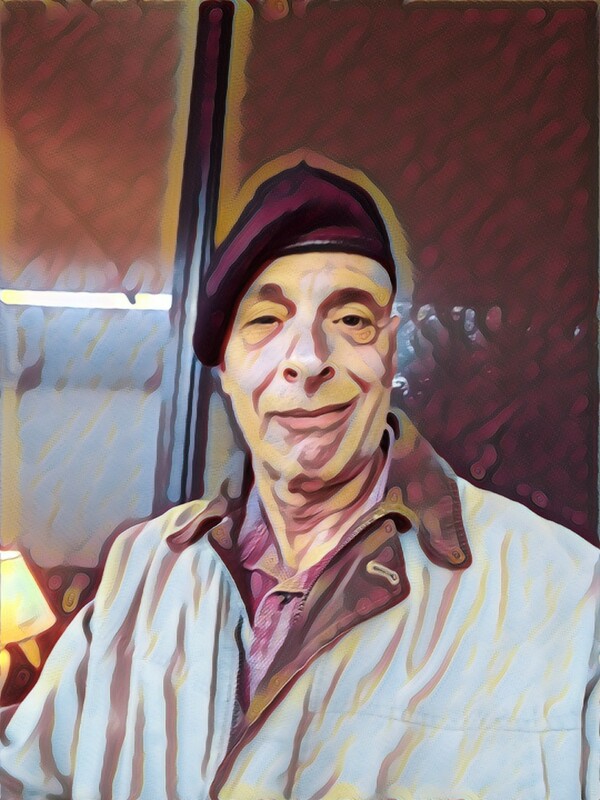 John Searle (“Seeing Things As They Are” 2015) by contrast defends naive realism (he calls it “direct realism”) by distinguishing between presentation (what the senses, especially vision and touch, deliver) and representation. Among other things presentations cannot be manipulated at will (connecting up with Ferraris’ concept of “unamendability”) while representations can be manipulated. I will have a review of Searle’s book soon, but for now back to the continentals. Of the four philosophers named above, only Ferraris has shaken fully loose of the anti-realist cloud (see my article on anti-realism). Ferraris takes a position that what you see is close to what you get. The mind independent world is self-structured (stars, galaxies, primitive life) is all real and already jointed long before mind comes along to recognize and react to the joints. That mind does recognize and react to the joints is a phenomenon fully within the process of world-self-structuring. Mind is a means (not necessarily the only means) of mediating between sensory input (evolved) and behavioral response which partly directs the future of that organism and its community. Ferraris does not think that fish-mind, lion-mind, bird-mind, and human-mind, all mediate the joints in the same way. But the structure of all these forms of consciousness do reflect mind-independent joints, those the animal’s survival depends upon. The evidence for this is the way those world-structures push back at us as well as the manipulative potentials their regularity affords to mind. Ferraris’ ontology is fully real then. Epistemologically speaking, mind is not merely guessing at what might be “out there”, but knows it at a graining suitable to its daily navigation about the world. Human mind knows the natural world from a far more sophisticated viewpoint yet remains analogous to the viewpoints of higher animals. But humans are in addition able to frame their own abstractions, additional joints, on top of the natural world making recursive use of the affordances (Ferraris’ term) given to us by the regularity of the resistance (we cannot change the past, running into a wall hurts, we cannot fly merely by wishing it), of the world. For Ferraris both the resistance and affordance are epistemological evidence that ontology is “more or less” what epistemology represents. Meillassoux and Harman are different. I think DeLanda belongs in this group but I have read but little of DeLanda and must limit myself to points he makes in his jointly authored book (“The Rise of Realism” 2017) with Harman. Harman and Meillassoux have not shaken themselves free of the anti-realist fog. In the end, neither can accept that what seems real and jointed about the mind-independent world to consciousness very much likely is real and that the independent joints are close to where we perceive them to be! This is the reason this group are “speculative”, a fitting moniker. If we do not have a good reason to believe the mind-independent world approximates what it appears to be, then in the end the best that can be done by ontology is to speculate about it and hope the speculation serves to enhance insights in some other arena of philosophy or science. Of the two Meillassoux (from his major work “After Finitude” ) is the more careful analyst. He begins in essence with a traditional anti-realist assumption; the Principle of Sufficient Reason is not necessarily true of the mind-independent world. He concedes that it appears to hold and that it must indeed hold for long periods (essentially an anthropic argument) but in the end he concludes that it need not necessarily hold out beyond what we can perceive in space or in time. That’s fair enough. He starts with an assumption and traces it to a logical conclusion. I think he is wrong because his fundamental assumption is wrong (I’m a realist theologian after all) but I do not fault the quality and professionalism of his reasoning from assumption to conclusion. He reminds me, in style not content, of some modern analytic philosophers like Lowe (recently deceased), Chalmers, Searle, and Deacon among many others. Harman does not seem (anywhere that I can find) to build his ontology he rather asks us to accept a purely speculative proposal in the hope that it will be useful. Like Ferraris, Harman believes the mind-independent world is already structured as concerns particulars, that is there are particulars along with various relations between them. But Harman asks us to accept for the sake of argument) that “the real” is made up of nothing but individual objects. Further, ‘object’ includes everything from atoms to asteroids, stars, events of all kinds, and thoughts. The last includes both subjective relations (that tree over there as I experience it) and fantasies (the pink elephant I see floating in front of me). Objects must exist before they can have properties through which they have relations with other objects. Thus Harman introduces an essence or haecceity but it seems to do nothing except stand in for “that which has properties” and grounds its causal potential. The object’s properties, even the complete history and future of its properties (and relations into which they enter) down to the finest detail, does not exhaust the being of the object. This is one place where DeLanda diverges, but for Harman, something is deeper than the object’s complete history and it comes down to the object’s being or essence. Being in his context seems to be a placeholder for “that which must exist but cannot be known”! From the moment an object exists it has properties that enter relations with other objects through their properties. These relations too are objects as real as their relata, and further, the properties are also objects with their own haecceity, further properties, and so relations. If this looks like the beginning of an infinite regress it is and Harman has no real answer for it. What he offers is the observation that objects do not persist indefinitely. Objects and relations can come and go, sometimes transform into new objects or cause there to become objects that until that time did not exist. But none of this avoids the regress problem. Even considered syncronically (at a point in time), every property and relation in the universe is itself an object related to every other relation and object in multiple ways. This is already a well-neigh infinite number of objects. Physicists estimate there are 10^80 protons in the universe. That makes the number of relations (all objects) between protons alone 10^80^80! But nowhere (in the four books I’ve read) does Harman make a case for the object-hood of properties. The sun is hot and my hallucinated elephant is pink, but hotness and pinkness are not objects in any normal uses of that word. Anything that can be bounded, anything whose joints can be delineated, is an object. But while my pink elephant can be bounded, its pinkness cannot in any way that Harman makes comprehensible. Harman has a problem with universals. Harman sets this problem aside and moves on however. While all of these objects are equally real (ontology) they are not all “equally important”. Harman knows that importance can be importance to human mind or animal mind but he also suggests a possible mind-independent measure of importance in the form of a “symbiotic object”. Objects of all kinds come and go. Some never persist long enough to express causal relations but most have at least some small effect on their environment. The encounters between properties in their multiple relations, have causal implications for Harman that he calls a species of non-theistic “occasional cause”. Some few of these object-relations have widespread and long-perduring outcomes. For example (mine, not Harman’s) the iron asteroid that struck Earth 5 billion years ago forming Earth’s core, producing a magnetic field, fueling future tectonic processes, and perhaps even creating our moon with all of its knock-on (hence symbiotic) effects, would be an “important object” that uncontroversially predates mind (on Earth at least). But where to place symbiosis? Start with the asteroid, but then it also has to be the asteroid-Earth-relation, the event (another object) of the impact, and so on. One symbiotic object produces many following object-event-relations. Does the symbiosis apply to all of them? I don’t think Harman would have a problem spreading out the symbiotic credit as it were, but the flatness of his ontology prevents him from drawing any hard lines. Any event, no matter how trivial (like the gravity of any mass) must have some effect on the world-line of any larger event with which it has now, or had in the past a relation. Harman is explicit about all of these objects (not only records in the present) being equally real even if only at some past time. Here’s where it gets tricky. Even that subset of events with enough world-line effect merely to be recorded such that they appear as present records (physical evidence of their reality, not only formal documents) of past events may or may not be symbiotic in Harman’s view. Surely some recorded events (and by extension their records) were, and perhaps continue to be, more significant than others. There is a continuum of importance. Further, the effect of an event, any event, on a larger world-line spreads out towards the future resulting in an infinitely fine continuum of importance. Ontologically then there is nothing to divide the important from the unimportant (a classic sorites problem). The only relations in which mind-independent objects exhibit a property of importance are mind-dependent objects (see ‘sensual-objects’ below). I do not see how Harman can defend a line between unimportant and important without eventual reference to mind? The asteroid impact predated mind, but its importance stems from its causal impact on the evolution of mind, and in particular human mind, becoming aware of it. Harman also introduces us to “dormant objects” which are more problematic than symbiotic objects. A “dormant object” emerges from its constituent relations but does not participate in any relations of which it is a constituent. A dormant object “has no effects”. Is such a thing even possible? An object must exist to have properties, but once it exists it immediately has properties and these enter into relations. There are no objects (mental or otherwise as we shall see) that do not immediately have properties and just as immediately (or at least at the speed of light) enter into relations. Perhaps such relations are trivial (analogous to the gravity of a proton) by our lights but they cannot be nonexistent. In the end there is a top-of-the-chain relation between every particular and every other particular in the universe. This is not an “all is one” view like that of Heidegger or Whitehead because the relation of everything to everything else is no more or less real than the relation between any two atoms or thoughts anywhere in the universe. It is possible, given all the spatially or temporally extended relations, even the most trivial of events will turn out to be symbiotic when viewed over wide enough scales. Again Harman has no way to draw a line other than by “significance to mind”. Harman also distinguishes between “real objects” and “sensual objects” where ‘real’ here means “mind independent”. The pink elephant floating in front of me is a sensual object as is the relation (resulting in a cognitive acquisition) between my mind and a mind independent tree. Both of these objects are (or might be) causally efficacious; having an influence on a subsequent world-line. If I see the pink elephant while driving I might swerve and cause an accident. If I am driving down a dirt road and see a tree in the middle of it I had better swerve to avoid an accident. I have no problem with this distinction, but it risks un-flattening Harman’s ontology. It at least takes a small step towards an ontological dualism (mind vs everything else) he wants very much to avoid. The move adds epistemology to ontology. The “objects of our minds” are like any other object except that they are ours, belong to an individual subjectivity, while all the other objects are not ours, not a property of a subjectivity! If this is, for Harman, an epistemological distinction without ontological weight, then we cannot possibly know, but only claim by speculative fiat, that all objects, sensual or otherwise, are “equally real”. I do not see how he can have it both ways. Also problematic is Harman’s claim that “matter doesn’t exist”. I cannot find a way to make sense of this claim in the context of his “Object Oriented Ontology” (OOO). At first I thought perhaps he was suggesting the quantum wave function is the “real real” (some physicists believe this) and matter is merely a second-order by-product. But he doesn’t much talk about the wave function and he cites an example of two tectonic plates opposing each other “rock to rock” which seems material enough to me. Another possibility is that Harman makes no room for universals. Red doesn’t exist only individual red objects. ‘Animals’ are not an object, only particular animals. But Harman considers sets to be good sensual objects and “classes” or “kinds” are merely another way to refer to sets. Red perhaps doesn’t work here because it is purely sensual, but ‘animals’ does. ‘Animals’ is a concept and so a sensual object. But it is not like the pink elephant because there are mind-independent individual animals tieing the sensual object to the mind-independent realm. Why can’t matter be a property common to some non-sensual objects? Maybe this claim is about relations? Being (objects existing) entails relation and perhaps in the end relations (mental or entirely mind-independent) are the only objects we can talk about. But that wouldn’t imply that matter didn’t exist only that it might not exist. Relations are not made of matter but some of their relata might be. If existence is logically prior to properties and relations but we cannot grasp all of that in which this existence consists, who is to say that matter is not a part of the essense of some objects? From inside the phenomenal, direct access only to sensual objects, nothing entails or even implies that some non-sensual objects are not matter. OOO must remain ambivilant about this and this is not the end of the problem. Relata, for example non-sensual rocks, are also relations (between atoms) and they in turn are relations (between particles) and so on (infinitely alas) and so in the end there are no relata only relations and Harman is, in effect, defining matter away. Haecceity seems to be something of a substitute for matter at least as concerns traditionally material objects. OOO here comes down to “there is a mind independent real but in the end we can never experience or embrace the core of it only its effects; manifestations in properties and relations.” But even granting this, the immateriality of properties and relations then cannot stand as evidence for or against the ontological genuineness of matter! If we cannot know “the core of being” then we cannot know that some of it is or is not matter. I return to the question of what Harman gets out of this? The point of ontology is to be useful at least to other philosophical arenas (epistemology, ethics, aesthetics) and perhaps human endeavor in general whether in the hard or soft sciences, arts, politics, and so on. One thing he might get is univocality of cause. Harman says that cause is fundamentally “agent cause” because an object’s causal potential is some part of its withdrawn essence. But an object’s causal potential expresses through its properties and their relations with other objects. The agent (essence) is the secret of an object’s causality, but what objects manifest to one another are their properties and what mind recognizes of cause is revealed in object-relations. Physical cause and mental cause are both “occasional” outcomes of relations derived ultimately from properties manifest by being. If this is so then “causal agency” is, ontologically speaking, an assertion of faith, a speculation. All that we know of cause is more suitably described in event or process terms. The ontological (object) status of events or discrete process has no epistemological bearing. Proposing a universal causal manifestation in relations (however grounded in a haecceity we cannot know) tells us nothing new. If everything is a relation, how could cause not express itself in or thru relation? Individual essences, events, and relations are all objects of equal ontological status. Cause therefore belongs to everything equally. Like the continental tradition generally, Harman takes an interest in the social sciences. In “Immaterialism” (2016) he offers us an example of applied OOO in the form of a corporate history. A corporation is, after all, an object like everything else. It has a historical duration. It has relations to people, events, recordings (documents), and such; the stuff of its daily doings (all objects). Corporations also have relations to later historical events (more objects). The corporation he chooses is the Dutch East India Trading Company, known in Harman’s book by its Dutch initials VOC. The VOC is an interesting choice because it has a clearly bounded history (1605 to 1795). It illustrates an object’s coming into existence and going from it. At the same time, undergoing many transformations and a participant (not to mention instigator) in many historical events, it shows the ability of objects to transform without thereby ceasing to exist and become new objects at every turn. He also explains here symbiotic objects and dormant objects using the same object, a document (policy statement) introduced by the corporation’s most notorious Governor-General in 1619. What makes this document symbiotic? It had a far reaching effect on the actions (decisions taken by directors, employees, and so on) of the VOC for the next hundred years as compared (I suppose) to most of the thousands of other documents (minutes of board meetings, policy statements, and so forth) generated during that time; a clear “disproportionate effect”. How then could it also be dormant, an object with “no upward relation”? Harman tries to throw a little too much in here I think. The document was first dormant because it had no particular effect on the actions of the corporation until a few years after its introduction. But how could Harman possibly know this? He does not know of any immediate effects precipitated by that document, but he cannot claim that there weren’t any. Sitting in the room, when the document was introduced were a pair of investors. One ran home immediately to his wife and said: “The governor general is a monster. We must sell everything we have and divest ourselves of VOC stock now!” The other investor likeways ran home to his wife and said: “that man is brilliant. We must divest of everything elsewhere and double down on VOC!” Now Harman might reply that yes after all there is no absolute but only relative dormancy. That my example is hypothetical and does not come down to us in the historical record (another object) is evidence that relations can be more or less fecund. But such a reply makes importance “importance to human mind”. Only humans care about documents or for that matter “the historical record”. What makes this document important is that it had disproportionate effect, over time, on the decisions of human beings and those, in turn, effected the lives of other humans. Our judgments of relative importance or unimportance are always judgments (themselves always sensual objects) with respect to their effects, ultimately, on other humans. Immaterialism is given over to much detail on the doings of the VOC and in particular its doings after the introduction of that document. I can only imagine the idea is to show how relations can play themselves out. But in giving us this admittedly interesting history and connecting it up to a particular document Harman does no more than give us a description of decisions (on the part of people) and events (naval battles, enslavement, genocide) that read like a history told by any other historian. Harman neatly divides up traditional objects (cannon, ships, documents), people (decision makers and their decisions), and events (naval battles, invasions) that stand out primarily because they have come down to us in the historical record. Of course Harman ignores many records so he can thread these particulars together in a cohesive story and not write a thousand page book. The problematic part is that in describing all of this, Harman uses the conventional language of objects, relations, and events. Whether all of these are ontologically objects, makes not the slightest difference to the story. Whether or not a particular naval battle or act of genocide had a withdrawn essence that we cannot know simply has no bearing. “Everything is an object and all objects are equally real” doesn’t add anything to our grasp of this history. Like Meillassoux, Harman is stuck behind the anti-realist wall. There is no hole in the wall for Meillassoux. His conclusions are purely inferences based on an epistemological assumption (the Principle of Sufficient Reason is true only for epistemology and not for ontology) about ontology. This restricts him to a very limited and tentative set of speculative conclusions about the nature of the mind-independent world. Mind independent contingency (for example) entails time and space apart from our mental categories. Beyond this, he cannot say anything about the structure of the extra-mental other than that it appears stable (for now) and is of necessity entirely contingent. Harman also is not able to say very much about what is mind independent beyond that it is real and divided up into objects having infinite relations. Of course he can distinguish between rocks, rock concerts, and pink elephants because their properties vary, but these distinctions, these joints, are picked out by mind. Harman insists that they are real independent of mind, but his ontology supports this assertion only because every possible object-relation is real. Harman can go a bit further than Meillassoux because, while the mental arena cannot contact the core of any object, it does contact relations, and we are able to explain much using a language of relations as Harman does with the VOC. There is, in effect, a hole in Harman’s wall that lets [some] relations through to mind. The external relation between the tree and me invokes a sensual-object, my perception of the tree, in my mind. This is what allows Harman to say anything at all about the mind-independent world. Harman’s mind-independent world is therefore a little richer than Meillassoux’s but on the other hand Meillassoux reasons himself to what he concludes about the world from a few assumptions. Harman simply intuits a solution and hopes that other work (like history, political science, art) will demonstrate its usefulness. Only Ferraris manages to get past the wall altogether by connecting up unamendability (a fixed past and the constraints of natural law) and affordance (opportunities, realizable potentials) the world presents to us and so realizes that there is no wall, only a screen, and the screen lets much through to mind which evolved in response to its transparency. Another from Ed Hamilton creator of the Ministry of Rum. A Guyana Demerara River rum I expect this to be both sweet and smooth. I was not disappointed. The bottle says 43% ABV product of Guyana distilled and aged on the banks of the Demerara river. Who doesn’t like Demerara rums? On the back label: “A blend of rums aged up to five years in Guyana and then bottled in the U.S. without adding any sugar or other sweetener. Color: Dark mahogany red, rich looking. Legs: A few fast thin legs descend from a swirl, but many little beads also form and slowly coalesce. Aroma: Heady molasses, coffee, chocolate, burnt caramel (treacle), prune, strike you along with just a little alcohol. The nose is fantastically rich. There are no “young rum” acetone notes, only delicious darkness. This smells very sweet. No ester funk in the aroma at all. Flavor: Smooth, dark fruit, less sweet than it smells. Very creamy blended flavors favoring prune, tobacco, and coffee but subtle. No one flavor leaps out and there is something a little different from every swallow. No funk! Warm but not at all hot or sharp. Smooth, smooth, smooth. Medley of aromas disappears in the flavor to a subtle dark fruit sweetness, creamy throughout. Long finish warm creamy rich with just a touch of bitterness at the very end. It reminds me of the Foursquare Port Cask or maybe a richer version of English Harbour. 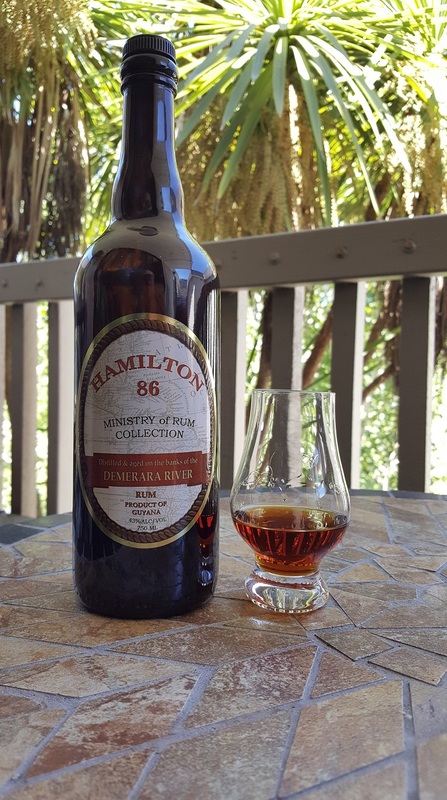 This is my second “Hamilton Rum”, the first being a very high ester (funky) St. Lucian 2006. Also rich, but very funky. This one is very different. Ed has a good nose for good rum of all kinds. This bottle cost me $42 (the St. Lucian was $60 something)! Fantastic deal for such a well crafted rum! Highly recommended. Two more books, one (2002) by Graham Harman is I think an early statement of his full system. There are things missing here (dormant and symbiotic objects for example) but the core of it, that Heiddeger’s tool/broken-tool distinction is a foundation for a full fledged ontology, and that what is both real and mind-independent has, nevertheless, a being or essence (haeccity is an old word for it from the scholars of the middle ages, but it fits) that is both ontologically real and unreachable (withdrawing) from any relation. The second review is of a recent collaboration between Harman and Manuel DeLanda. I have not read DeLanda otherwise. His thoughts about ontology are not systematically clear for me. Harman’s would not be either if I had only this book to go by. Instead what we get is terminological refinements of one another’s thoughts (each compared to the other) in five broad ontological subjects. It seems to me that as concerns the most ontologically fundamental nature of being Harman and Delanda have a very fundamental disagreement. The haeccity that withdraws from us (Harman) is summed up (for DeLanda) in the object’s world-line, the exact details of its entire history. I get the impression that DeLanda is saying that if we had immediate experiential knowledge of every detail at all levels of graining expressed in all (even possible) linguistic systems, we would know that object. He concedes that such knowledge is in principle impossible and so what constitutes being cannot ever be fully touch it. Harman agrees that the world-line is real (an object), but insists that even the entirety of its history does not exhaust it. The two positions come out, in the end, to the same thing as concerns our experience of what is real. We cannot ever reach the core of things. In this sense, Harman is a little more realist in the sense that he adds a little more to what is mind-independent, but his addition seems arbitrary, utterly speculative. He never quite explains what difference it makes. DeLanda also doesn’t know for sure if being is encompassed by a world-line, but he argues that it goes at least that far, something on which both authors agree. I suspect Tool-Being was Harman’s first attempt to reveal his developed ontology to the world. The book, written in 2002, is now a bit dated as Harman has updated his ontology with a few modifications (additions and subtractions) in later books, but those are still only adjustments around the edges. The basic ideas are all still here. What I do not see, again, is any development of his conclusions from first principles, but his ontology does not simply spring fully formed into his head. Rather than first principles it appears to have been a patchwork of inspiration taken from the ideas of Heidegger, Whitehead, Latour, and others. If anything Tool-Being provides us with this historical foundation of Harman’s thought. So what we get here in this book is first a review of Heidegger’s theory of tools and broken tools which forms the fundamental insight that Harman extends to everything, not just tools, in the universe. Next he looks into various interpretations of Heidegger and shows how they can be extended to be about more, and different, than Heidegger himself had in mind. Lastly, we have the explication of his own insights derived from the foregoing. All of this until the last 7 or 8 pages of the book is illustrated by reference to other philosophers, in the last chapter mostly Levinas and Zubri. Finally, at the end Harman states his conclusions and several problems (paradoxes and regresses) stemming from them. He recognizes that these issues must be worked through (presumably by him and others) to fully flesh out the ontology, but he declines to do this here claiming for this book only a pointer to the way forward. There is a good reason why Harman is grouped with a few others among the new generation of “speculative realists”. Given their continental anti-realist roots (Meillassoux being the only other of this group I’ve reviewed) they accept that perception alone (naive realism) doesn’t give us reality, and that, in the end, we can’t do philosophy (or anything else) from outside the mind. What they have in common is the conviction that from within mind, we can say something reasonable about the layout of a reality that includes both mind and something outside it. But they also know that what might well be reasonable and even useful for other areas of philosophy and the human-sciences cannot be known to be true. At best, as concerns ontology, these ideas of Harman (and Meillassoux and others) are speculations. They are not inductive conclusions based on evidence, but speculative possibilities. Harman is at least aware that the summing up of his particular speculations, up through the development of his thought to this point, leaves many questions to be resolved. He finishes convinced that, as a beginning, the fleshed out [future] system will be useful to someone. I have to wonder if he doesn’t come across a bit too convinced given the historical foundations of his ideas, but he does make a good effort in the last pages to explain his views particularly as they contrast with those of Heidegger and Whitehead. I gave the book 4 stars because even if one is not a fan of Harman, the book is a superb explication of Heidegger and others as concerns possible implications of their metaphysics, epistemology, and phenomenology to the nature of the mind independent world. This little book consists of a dialog between Manuel DeLanda and Graham Harman, two of a small suite of continental philosophers who today are trying to reclaim realism from the self-referential swamp of anti-realism having its beginnings in Kant. The book is divided into five broad subjects (chapters): Realism and Materialism; Realism and Anti-Realism; Realist Ontology; Cognition and Experience; Time, Space, and Science. In each chapter DeLanda and Harman conduct a conversation covering various sub-topics within the overall category. One gets the impression of a couple of philosophy graduate students chatting over beers in a local pub. Of course Harman and DeLanda are a bit more disciplined than graduate students, but not by a lot. The conversation tends to drift from sub-topic to sub-topic. As each side of the conversation approaches more technical or nuanced issues over which they might disagree more than being a “matter of terminology”, each changes the subject so as to move on. Nothing is explored in any depth. In part this is understandable. I suppose neither wanted to write a thousand page book. But neither party actually explains the derivation of their particular “system of thought”, merely stating it as it relates to whatever particular subject is at hand. Harman mildly contradicts himself here and there as one broad subject (chapter) moves on to the next, and overall DeLanda’s position seems to me to be the more common-sensical but both have their problems. Meanwhile, the two rarely disagree and when they approach disagreement they tend to change the subject. Only in the last chapter is there any substantive disagreement discussed. Overall if you are looking for some overview of both philosopher’s thoughts on these broad issues this book is a good summary. As a means of using one another’s thought to adjust their own positions it falls flat. Neither author’s position changes in the slightest except where they can agree that their positions on some particular sub-issue can be brought closer together by terminological adjustments. Not a bad book and a good review of each author’s already mature thought. But it isn’t great either. Nothing new is accomplished. For $18 (Kindle edition) this book is probably more expensive than it should be.